Yelen & Yelen, P.A. 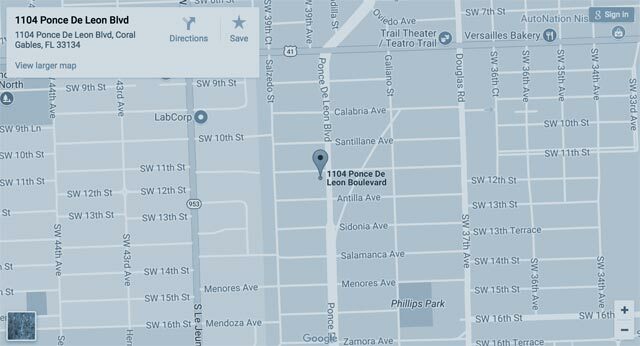 is a boutique law firm located in Coral Gables, Florida, with a concentrated practice in the areas of estate planning, probate and guardianship administration, and real estate. Our attorneys and staff are committed to providing personalized attention to each of our clients in order to efficiently meet their needs and demands. Yelen & Yelen, P.A. was created over 70 years ago as a family practice and proudly continues to serve the community today through its next generation. The law firm was formed in 1955 by two brothers, Irving Yelen and Martin Yelen. Several years later, their third brother, David Yelen, joined his siblings in establishing one of South Florida’s preeminent law firms practicing in the areas of probate and estate planning, real estate and commercial litigation. Yelen & Yelen P.A. first hung its shingle on Flagler Street in Downtown Miami, Florida. As the practice grew, the Yelen brothers moved their offices to Coral Gables, Florida in 1970. The firm is still located in those offices on Ponce de Leon Boulevard to this day. Jan A. Yelen later joined the practice in 1981 and now continues to uphold the Yelen legacy as the law firm’s managing partner and president.